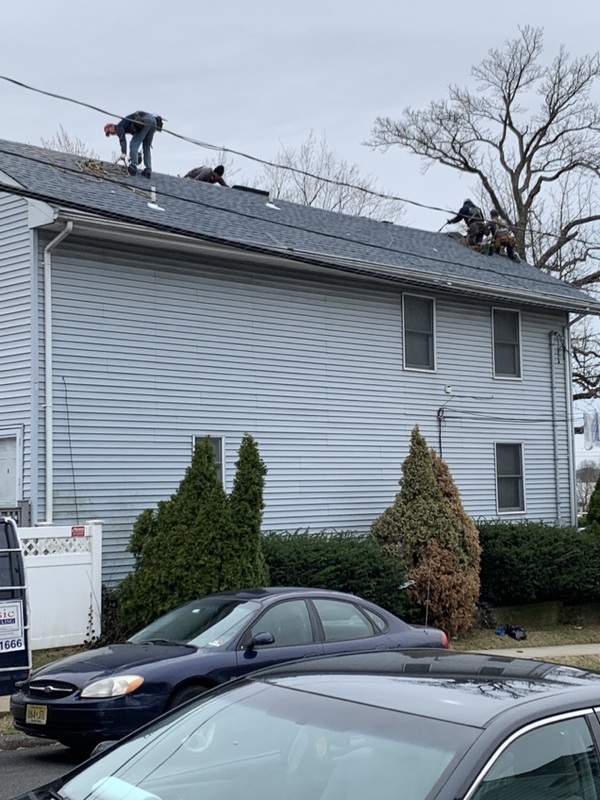 Today’s job is in Ridgefield Park, New Jersey. 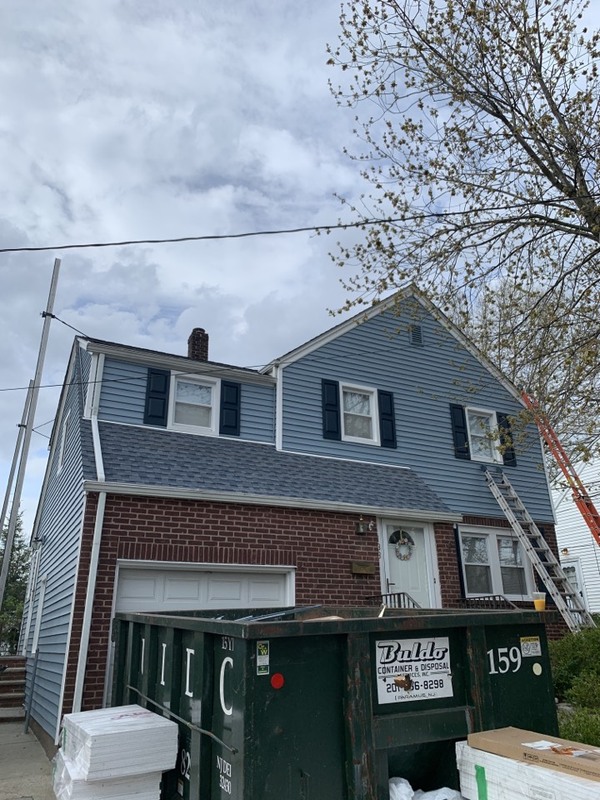 Using the Timberline HD Biscayne Blue shingles! 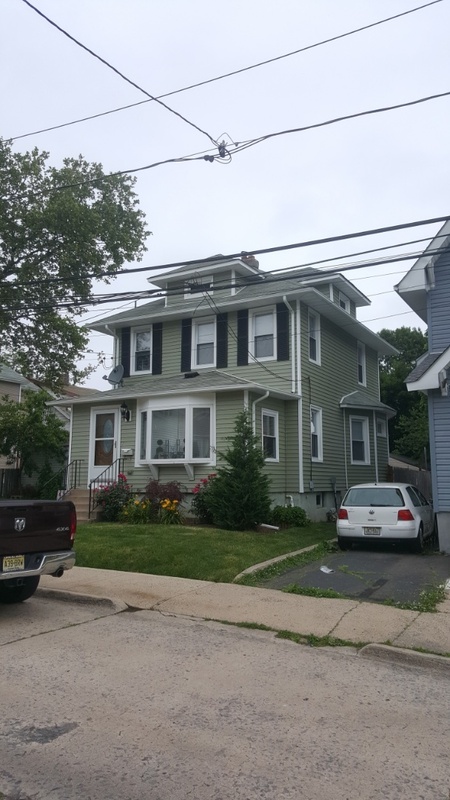 Starting new Alside Conquest clap board viny siding project. 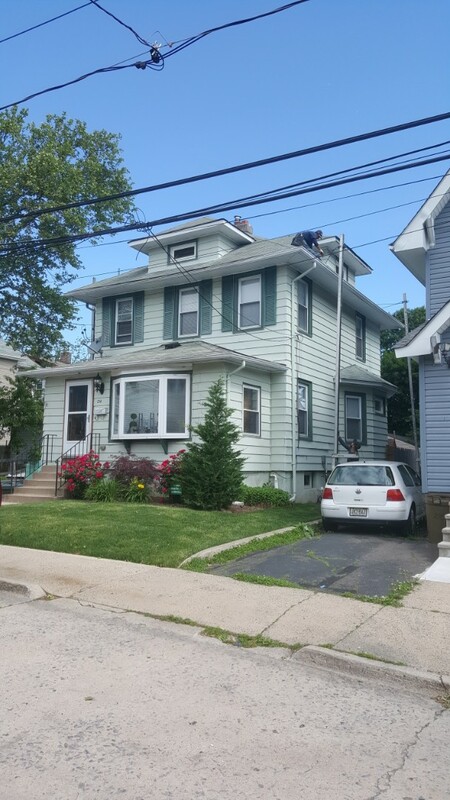 Removing old tired aluminum siding trim Gutters and leaders.